Diane is the Project Director. She will offer a reflection on Sunday. James is the Site Coordinator. He also loves thunderstorms. Ryan is in honor choir. Jessica was born on Mother’s Day. Ver-Lyssa has been a FS intern four years. Claire is a member of RMC and will be student teaching in the fall. Michael is in the army reserves. On Sunday we’ll get to know these fine people better since many of them will be here to lead worship. 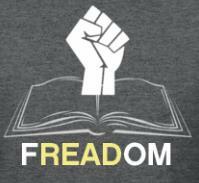 If you want to learn more about Freedom School at Rainbow, click here. What a summer this will be!